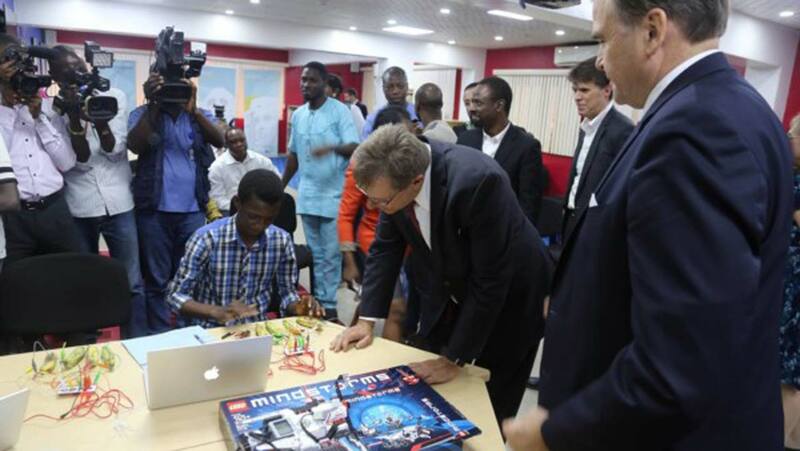 The United States Ambassador to Nigeria, Mr. W. Stuart Symington has opened Nigeria’s first state-of-the art Priority American Space hosted at the yaba offices of technology incubator, Co-Creation Hub (CC-Hub). At the event attended by technology leaders, Ambassador Symington explained that the space, which is equipped with cutting-edge digital technology, is a center for Nigerians to develop innovative ideas, learn about the United States and its people, explore possible study at U.S. universities, enjoy U.S. cultural programmes and also interact with U.S. exchange programme alumni. The Centre, now open to the members of the public, comprises a MakerSpace –– a tech area designed to promote digital skill building; a workshop space equipped with the latest laptops and tablets for internet learning; a conversation space for small group meetings and research and a meeting space that supports innovation and creative collaboration.